According to various estimates, Indian companies process up to 50 percent of diamonds mined in Russia annually. Russian diamond monopoly Alrosa is seriously thinking about diversifying its sales and is reported to be close to a commercial agreement with Chow Tai Fook Jewellery Group, the largest jewellery brand in China, Hong Kong and Macao. The Hong Kong-registered company plans to buy at least $100 million worth of rough diamonds in Russia annually. The new partner may eventually rival Indian diamond cutters, which currently account for half of all diamonds mined in Russia. A source in the supervisory board of Alrosa also spoke about a large diamond contract with the Chinese. “The situation will be brought to the attention of the sales department in a meeting of the board this Friday. The possibility of expanding diamond sales is also on the agenda,” he said, adding that the contract with Chow Tai Fook Jewellery Group may be signed in early November. Alrosa declined to comment yesterday, and spokespeople for Chow Tai Fook were unavailable. According to Alrosa’s website, the company has a number of three-year contracts with 24 long-term clients. A source familiar with the situation told Kommersant that almost half of these contracts are due to expire in 2013. He hasn’t ruled out the possibility that some of the contracted volumes may be revised downward. “One of Alrosa’s priorities when negotiating new long-term contracts will be the geographical diversification of its sales, as well as the practice of sales it developed during the ‘heavy market’ period,” the source says. In his opinion, Chow Tai Fook is capable of processing an amount of rough diamonds comparable to what Alrosa currently supplies to its Indian customers. According to various estimates, Indian companies process up to 50 percent of diamonds mined in Russia annually (in terms of weight). India accounts for the entire volume of the so-called “Indian goods” (smaller diamonds weighing from 0.1 to 0.15 carats), about one quarter of Alrosa’s production. According to the Russian company, it sold $500 million worth of rough diamonds to Indian cutters – half of its export sales – in 2009. In March 2010, three-year contracts were signed with Indian diamond companies Rosy Blue, Diamond India Ltd and Ratilal Becharlal and Sons for deliveries of rough diamonds for a total of $490 million. In 2011, Alrosa reported diamond output at 34.6 million carats worth a total of 125.3 billion roubles (about $4 billion). Chow Tai Fook Jewellery Group Ltd is the largest jewellery maker in China, Hong Kong and Macao. It was founded in 1929 by the Cheng family, which, until recently, owned the company outright; an initial public offering in late 2011 raised about $2 billion, selling 10.5 percent of its shares. Chow Tai Fook Jewellery Group Ltd employs 13,000 personnel. The Hong Kong Stock Exchange-listed has one of the best-known and most popular jewellery brands in Greater China. The company became a De Beers sight-holder in 1993 and a Rio Tinto Select Diamantaire in 2009. Chow Tai Fook buys rough diamonds in the open market, including in Belgium, Hong Kong and Russia. In the jewellery business, Chow Tai Fook is a vertically integrated company with activities in all diamond market segments – from the purchase of rough diamonds to the design, production and marketing of its jewellery. The company operates three diamond-cutting and nine jewellery factories. The largest production facility, with about 5,000 personnel, is located in the Shunde District of Guangdong province, China. Two more diamond-cutting factories are located in Johannesburg, South Africa, employing more than 300 people. Chow Tai Fook produces enough diamonds to meet only 40 percent of its requirement. In 2010, the company became China’s leading jewellery retailer, with a market share of 12.6 percent. It also occupies the top position in Hong Kong and Macao, accounting for 20.1 percent of the local markets. The company operates more than 1,400 jewellery stores and 85 timepiece stores in China and Southeast Asia. Sergey Goryainov, an expert with the diamond industry news agency Rough & Polished, attributes the anticipated contract with the Chinese to Alrosa’s attempts to build a stable sales policy. “Competition is quite strong now from Israeli and Indian diamond diamantaires. Indian companies are trying to monopolise the diamond-making market by exerting political leverage on diamond miners, including Alrosa,” he says. 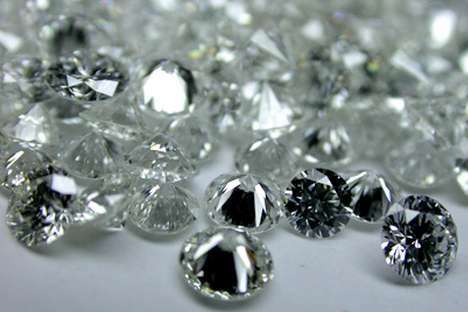 According to Goryainov, some large Israeli companies have been trying to set up production facilities in China to balance the expansion of the Indian diamond industry. Given this, a contract with China’s largest jewellery company will enable Alrosa to ensure the stability of its sales policy,” Goryanov concludes. First published in Russian in Kommersant Daily.